ARTBA leaders and staff this week participated in separate day-long roundtables organized by the U.S. Department of Transportation (U.S. DOT), addressing major technology issues that will help shape transportation design and construction during the coming years. Tim Duit of Duit Construction and Paula Hammond of WSP USA, who co-chair ARTBA’s Task Force on Emerging Technologies, were among 30 public and private sector experts convened by U.S. DOT’s Volpe Center to review and make recommendations about the use of unmanned aerial systems, commonly called drones, on highway and bridge projects. Duit made a presentation showing how his firm has saved significant time and money using drone imagery to assess project sites during the bidding process and track materials in their yard. 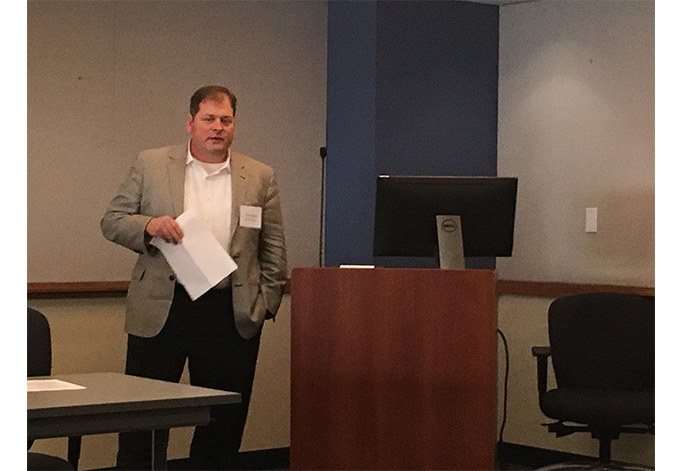 Mark Berry, a partner at ARTBA-member law firm Peckar & Abramson, briefed the attendees on current legal issues that affect drone use. The group – which included officials with the Federal Highway Administration, Federal Aviation Administration, and several state departments of transportation, as well as select representatives from industry – discussed potential ways in which federal regulations can better accommodate industry’s use of this technology. In coming weeks, ARTBA will be gathering case studies of members who have increased efficiency, cut costs, improved safety and saved time on projects using drones. ARTBA staff also attended a day-long event at U.S. DOT headquarters examining the latest developments in automated and connected vehicles. Secretary of Transportation Elaine Chao outlined the department’s current policy in this area, while other speakers presented the viewpoint of state transportation agencies and stakeholder groups. Attendees included senior officials from across the department, representatives of state and local transportation agencies and law enforcement, and vehicle manufacturers. While participating in small discussion sessions, ARTBA staff voiced concerns about industry priorities such as the anticipated effect of automated vehicles on highway work zones. ARTBA will continue to follow these developments and interact with a variety of other groups such as those represented at this event.